Preschool Quicksource® reminds us of the importance of physical movement in developing healthy minds and bodies - healthy minds and bodies are moving minds and bodies! Here's an activity that will get the children moving called Animal Moves . On a nice summer day, it can be taken outside. The goal of this activity is to "introduce or enhance balance and control during locomotor movements." 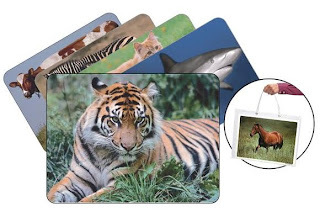 Children have fun while learning about animals and exercise their motor skills.To make the most of this activity, you will need several animal language cards or pictures of animals. If you are inside, be sure that you are in a space with plenty of room for movement. 1. Show the children one of the animal cards. If using POCET™, this activity correlates to Developmental Guideline: PH3: Demonstrates Balance and Control During Locomotor Movement. Expand this activity's imaginative fun by adding more dramatic play elements. 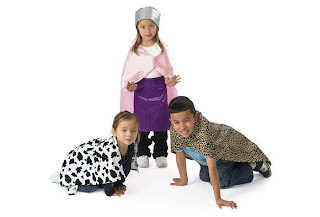 For example, you can use costumes, or have some children pretend to be animals at the zoo and have others figure out which animals are being portrayed.